Some retailers have started offering Sony’s PlayStation Classic console at a much reduced price. In the USA, potential buyers can find the device for US$59.99, whilst those interested in the UK can get their hands on the mini console for £49.99. Sony released the PlayStation Classic on December 3, and it has been met with a generally lukewarm response. The PlayStation Classic mini console has had its price drastically cut, arguably in the hope of driving sales for the device. With Nintendo reporting combined sales of over 10 million units for its NES Classic Edition and Super NES Classic Edition mini consoles, it must have been an easy decision for Sony to produce a mini variant of its much-loved PlayStation console. But the Sony device has been met with criticism from reviewers and users alike, so a considerable price cut seems to be a wise maneuver to attract gamers who may have balked at buying the console at its original high price. Customers in the US can now pick up the console for US$59.99, a big reduction from the launch price of US$99.99. Amazon’s UK website is offering the PlayStation Classic for £49.99, down from £89.99, and the same retailer has the device listed at AU$89 for Australian consumers, which is a price cut of just over AU$60. The reductions bring the console more in line with the rival Nintendo NES Classic Edition's price. However, regardless of the hefty price cuts, there is still the fact that the console has disappointed many with its performance, game library, and construction. Criticism has been aimed at the device’s PAL content, the short controller cords, and the poor emulation. 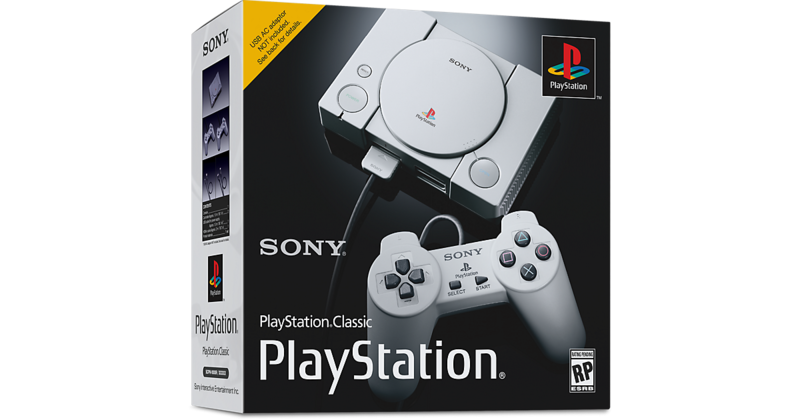 Reviews from customers have been very mixed, with some praising the PlayStation Classic’s appearance and nostalgia value, while others have bemoaned the sluggish gameplay and high launch price. At least the latter issue now seems to be rectified.